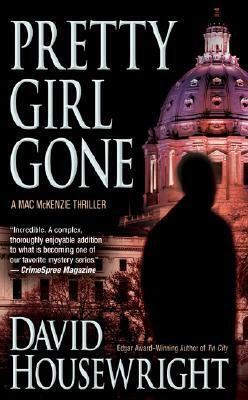 Rushmore "Mac" McKenzie has a lot of old girlfriends, but only one went on to marry the current governor of the state of Minnesota. And only one is calling him with a desperate request to meet in secret. First Lady Lindsay Barrett is carrying an anonymous e-mail that contains the makings of an ugly rumor about her husband, the man about to run for higher office---perhaps even the highest office. Someone says they have evidence that Jack Barrett killed his high school sweetheart. Lindsay says it's an outright lie, but the truth lies buried decades in the past in the small town where the governor grew up. Of course, Mac, who's richer than he needs to be and always has plenty of time on his hands, is in the business of handling such matters for his friends. So he packs up and drives straight into the governor's past with the brilliantly conceived plan to poke around and see if he can stir up a little information. He's soon got goons of all sorts poking him back, including a nasty little group of political movers and shakers who aren't above kidnapping and murder to protect their interests. It's clear that his little plan has stirred up nothing but trouble. With no choice but to stick to it, he continues shifting through a complex web of interlocking secrets and lies, some decades old and some rooted violently in the present day. It's up to Mac to sort truth from untruth before a vicious rumor becomes a political nightmare---or worse, before the "outright lie" is proved a solid, irrefutable fact.